We appreciate your support. 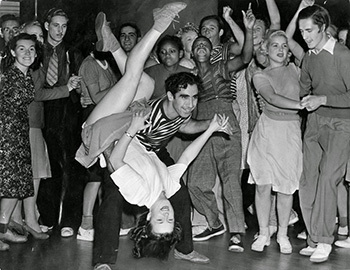 Take a look around our website at all the amazing Swing Dancers who are honored here. Will you be next? 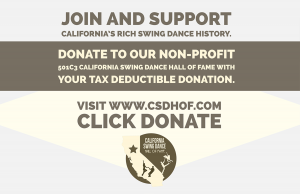 Your support allows us to honor past and future hall of famers and to preserve California’s rich swing dance history. Donate today! Stay tuned for more Fundraising Dances – TBA in 2019! The CSDHOF has a new website!